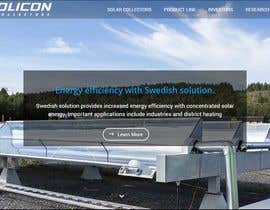 Absolicon is a European Solar Energy Company and we are going to rework our current website. First, we want to make a new starter page and will try to make it a competition here at Freelancer! We know a lot of web design and programming our self, but we need some help to get started! On our new Wordpress site, we want a starter page that uses full width images (and then a footer). Se how we designed it in the PDF of our layout example. 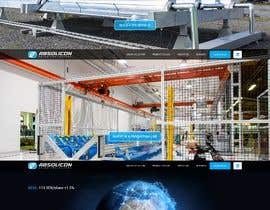 We have already done the design; your focus should be to implement it! 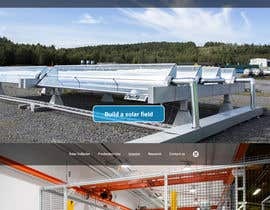 We got the inspiration from the Swedish Tesla site, see web site (you might need to choose Sweden as your country) [login to view URL] for inspiration (especially for how it behaves when resizing and scrolling). Please note that we want to have one menu on each image that should follow when scrolling. The menu should not stick to the top of the page. Use Google font Roboto in text. Our idea is to start from scratch, but if you can obtain the result using an existing theme, that is also possible. When scrolling, the pages should snap into the screen height if possible. Menu should be prepared to be integrated with Wordpress. The menu items should be placed using css and not integrated in the image to make it easy to change image in the future. It must be responsive and use Bootstrap 4. The Tesla site uses resizing of the images to make the best of every size. The entry should include images of some of the responsive sizes of your design. The images we provide here might not be the optimal size, please resize if necessary, it is OK if the quality then is less good. As only static images can be uploaded, if you want to describe movement, please describe in text. Entries not using the attached images will be deleted. 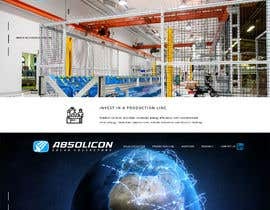 If you win the contest, we expect you to upload and install the winning contribution to a fresh Wordpress site and deliver a fully functional responsive starting page, that only is waiting for the design and integration of other pages. Thank you everybody for your contributions! I agree with Syed, #5 was also a good contribution, adding a nicer graphic toutch, but #18 was the closest to our specification. #18 won hahaha should have given to #5 its not me either. Thank you all for the entries! I also checked on two live sites from your links, a good way to see how you manage the soft slide into the images vertically - it is tricky… The higest rated is the one the closest follow our instructions. Hi, Kindly check out #18 . If you could kindly give it a rating so i know how much it meets your expectation. Sir, Please check #17 Thax. 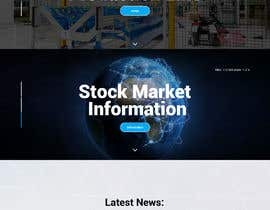 do you want header section img slider?